The chairman of Labour's governing body has accused Home Secretary Charles Clarke of speaking out of turn in the row over secret loans to the party. National Executive Committee chairman Sir Jeremy Beecham defended party treasurer Jack Dromey, who has said he knew nothing about £14m in loans. Mr Clarke said this raised queries about Mr Dromey's capacity for the job. Sir Jeremy said the treasurer "shouldn't be criticised" and had "acted perfectly properly". Meanwhile, police are examining three complaints that Labour has breached the honours system, something it denies. On Tuesday Mr Clarke said the fact Mr Dromey had not known about the loans, given to the party last year, meant "you have to wonder how well he was doing his work". What is the Honours (Prevention of Abuses) Act? Sir Jeremy responded with a statement saying it was "absolutely clear that the reasons that NEC officers, including the elected party treasurer, did not know about the loans had nothing to do with any failings on their part". He added: "Jack Dromey has always carried out his responsibilities with great diligence and retained the absolute confidence of the NEC in ensuring that this issue is dealt with." He later told the BBC that Mr Clarke had not read the situation correctly. He said: "I don't know how closely Charles has been involved in all this. He's not been on the National Executive for a number of years. "I think Jack has acted perfectly properly as treasurer. He shouldn't be criticised. I wouldn't have said it in Charles Clarke's position." On Tuesday Scotland Yard announced it had received three complaints that the party had breached the honours system, including one from Scottish National MP Angus McNeil and one from Elfyn Llwyd, parliamentary leader of Plaid Cymru. The police investigation will focus on whether the Honours (Prevention of Abuses) Act 1925 was abided by and whether honours were given by Labour in return for loans or donations. 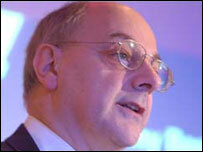 Sir Jeremy said Labour would co-operate with the police inquiry but dismissed the complaints as "opportunism". The controversy surrounding the loans began with the revelation that a number of millionaires who loaned Labour large sums around the time of last year's general election were subsequently nominated by Tony Blair for seats in the House of Lords. The nominations were blocked after the independent commission which vets applications raised concerns over three names. Mr Blair has denied nominating them in return for their loans. Mr Dromey later revealed he and other elected party officials had been kept in the dark about loans arranged by Mr Blair's chief fundraiser, Lord Levy. According to the Daily Telegraph, four of the 12 donors who lent the money in the run-up to the general election have indicated they expect the money to be repaid between August this year and April 2008. They each said they had made the loans at commercial rates of interest.